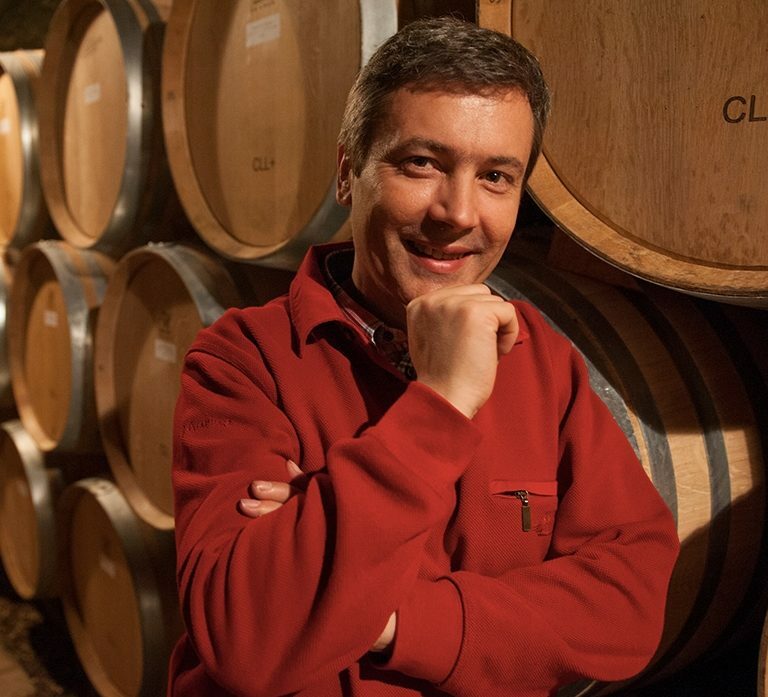 In this segment of “Interview with the Vigneron,” Romain Taupenot discusses style versus expression, his evolution as a winemaker, organic farming, and the challenges that face domaines in Burgundy today. What sets your wines apart from the greater story/traditions of Burgundy? There have been key developments and innovations in the areas of viticulture and winemaking in the last few decades, making it possible to produce great wines that I dare say are rather technical, more standardized, and somewhat deprived of their racy authenticity. My desire is not to yield to the trappings of crafting easy, technical wines. I look to produce wines that showcase their place of origin and whose purpose is to bring pleasure and a desire to share with others. I believe that, in this sense, the best compliment a wine can receive is to not talk about the quality of the style of the person that gave it birth, but to focus more on the faithful expression of the appellation. To have the winemaker’s style rest in the shadow of the expression of the terroir—this is the Grail quest. How have you changed as a winemaker since you began? Since my childhood, I was educated by way of drinking mature wines simply because, in my father’s time, the climatic conditions were different and it was necessary to wait a few years to start enjoying the wines. With global warming and the earlier harvests resulting from it, we have a greater chance nowadays to harvest fruit with perfect phenolic ripeness. Then, when I started to make the wines, it was quite a revelation to taste the wines at all stages of their production–from their genesis to their bottling–and I had to project myself in time and try to envision how the wines would taste in the future. At the same time, I had the desire to produce wines that offered great pleasure in their youth while also having the capacity to age and develop complexity over the years, which is the true measure of great wines. With an air of youthful sin, I wanted to free myself from my father’s tutelage and produce wines with further elegance, purity and concentration. This led me to reconsider what he was doing and to change some practices and to experiment. Nevertheless, I quite quickly realized that the path he had laid before me was the right one and that perhaps what was truly necessary was just a little further detail and meticulousness in each step of production. I had some certitudes of how a wine should be made, and I think today that great wines have this ability to surpass themselves in time and that the intervention must be minimalist to guarantee their authenticity. I simply do my best to support the characteristics of the vintage in order to reveal a wine capable of producing emotions and pleasure, not to force nature even in a so-called small vintage. From experience, I have learned to stay behind my wines. Today, I would rather keep my hands off the wine than to push the extractions. Concentration is indeed naturally achieved in the vineyard, not in the vinery. Use of oak has been upgraded and lightly increased, but remains a very reasonable proportion (no more than 40% for the Grand Crus and up to 25% for the village) with a light toasting, which allows the oak to act in a revelatory capacity, and not as an overwhelming component of the wine. Over time, I have become less reliant on certainties and begun to understand that I am better served by remaining in permanent doubt while continuing to experiment cautiously. I would define myself as a terroirist, but in no way an extremist. I am continuously pursuing balance with a minimal intervention approach. If you could go back in time, what advice would you give to your younger self about the journey ahead? This is a tricky question because one often learns more from one’s mistakes. In giving advice to my younger self, it would free “him” from all certainties, to experiment, to know when to doubt, to capitalize on the experience of the elders, not to focus on methods that always end up being recycled, to surround “himself” with competent people and move forward. That said, with hindsight, I would probably opt for organic certification from the very beginning, even though what differentiates us now is simply administrative. We live in a world of communication more than information, but to share a philosophy through certification is an effective way to raise awareness about our practices. On the practical side, I would not set up an exhaustive list, but my experience would lead me to reaffirm certain practices used since the beginning (such as the cold soak), but to also recommend certain thermic profiles during the phase of alcoholic fermentation in order to reveal wines with a beautiful freshness and distinct purity in the aromas, as well as the extraction of refined and elegant tannins. I would give “him” some advice about the selection of barrels, especially about the toasting, the grain, the drying time of wood, and the careful use of new oak. Since I can’t go back in time, I will be happy to pass on my experiences and lessons learned to my children so that they can save time and explore new paths. What is the greatest challenge you face going from grape to glass? There is no production of great Pinot Noir wine without a beautiful, ripe, healthy and concentrated grape. To achieve optimal grape quality, yields should be controlled as accurately as possible, while carefully considering climatic conditions. Until the previous decade, nature was generous enough and weather conditions were relatively mild, which regularly lead us to reduce our yields by pruning more severely or by harvesting green when necessary. However, since 2010, with the violent inclement weather resulting from global warming, we have been exposed to unprecedented crop losses. Our estate lost about three crops in seven years due to frost, hail and the pressures of fungal diseases, such as mildew and powdery mildew. Others have lost even more in some villages like Pommard and Volnay. At the same time, our organic farming has shown the usefulness of preserving our environmental capital by further reducing the doses of products, since diseases seem to develop resistance to these products. This situation makes our organic fight much more complex and delicate. While fencing with the whims of nature has always been a major challenge in our craft, especially when farming organically, the situation has become particularly tough in the last seven years. Today, unlike the past, producers in Burgundy are battling to maintain–let alone increase–yields. In fact, the survival of some estates is even at stake.